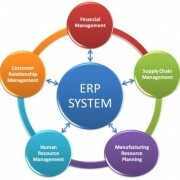 ERP software has become an important part of all business organizations. But, most of the companies are not happy with their software. Why? They haven’t chosen the right one. Here are some highly useful tips on how you can choose the best ERP software for your company. Every company invests a big amount of money to generate huge profits and among them ERP software has become one of the major investments. But what if you don’t get the desired outcome from the application even after purchasing the most costly software? It not only hampers your accounts and management procedure but also vastly affects the graph of your profit. If you ask these organizations about the process of choosing an ERP software, you’ll see that most of them have no answer. Isn’t it funny, especially when this software will play a vital role to figure your balance sheet at the day-end. So, here we have described some primary things that one should check before purchasing an ERP software. 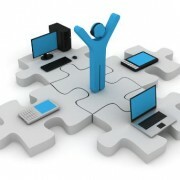 One of the benefits of an ERP solution such as Kingdee K/3 is the ability to customize according to a businesss needs. Kingdee K/3 provides uses with a proprietory Business Operating System (BOS), allowing users to customize their operational workflow and generate personalized reports. A BOS such as the one in the Kingdee K/3 also contains important information about the customization. The BOS retains the customization data so that it remains even during a software upgrade. Some ERP solutions do not come with a development platform, thus when a system upgrade is carried out, the customization may be lost and has to be re-implemented, which can be costly for a business that needs to outsource this process. It’s almost impossible for a business owner to keep a close eye on every process in his business. An reliable and practical ERP solution should have the ability to generate reports that help a business owner analyze the operations of his business. By providing an overview, the business owner can easily recognize parts of the operations that needs to be improved, to optimize productivity and profits. By the way, Reach Technologies offer a report writer, so that we can recommend the appropriate customization and understand your business needs before you implement our Kingdee K/3 ERP solution! Your company is not going to close in the next few years; rather it will grow more and obviously will create new records – as we wish. But is your software able to fit with the growth? Can you add necessary features in future? Every good software has the option to expand its features when required without affecting the existing ones. Some of our clients have started out with a basic ERP system that focused mainly on the Finance and Supply Chain modules. Because the Kingdee K/3 ERP is flexible, our clients were able to include other modules such as customer relationship management, human resource management and business intelligence to further improve their business operations. If you would like to include 3rd party softwares such as AutoCAD, Point-of-Sales (POS), MES, Warehouse Management System (WMS) and other industry-specific software, the Kingdee K/3 ERP also allows for such integration. Many business owners are expanding their business off-shore to reach a wider target market. If you’re a growing business with sister companies or intend to set up branches region-wide, look out for a remote access feature in the ERP solution, such as the Kingdee K/3 ERP software. This means that you don’t have to be physically present to know what’s going on and neither do you need to travel frequently just to keep an eye on your businesses. With remote access, you can access important information about your business operations on-the-go. Since business owners these days diversify their income streams, you should probably be considering this in your future business plans. 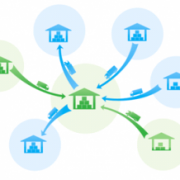 By having a system that supports multiple databases, you can easily segregate information of each business using the same software. Plus, if you have businesses elsewhere that may use a different language interface, such as Traditional or Simplified Chinese, you can easily implement a different language on each database, all without the need for another software. Besides, the database on Kingdee K/3 ERP uses Microsoft’s SQL, a reliable database platform that doesn’t slow down even when you store tons of information into your system. This is an advantage as self-developed databases may not be as efficient as SQL. If it seems like an overwhelming load of information to digest, how about letting our team at Reach Technologies help you analyse your business needs? Whatever the size of your business, you definitely need an ERP solution to manage your business operations more efficiently and focus on maximizing profits. 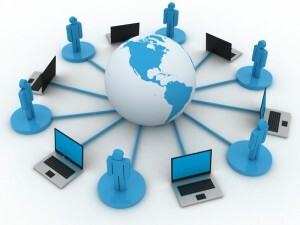 Visit Reach Technologies for more solutions we could offer to improve your company’s performance. 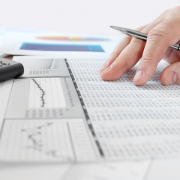 Accounting Software in Business Organizations – What Features Do You Really Need? 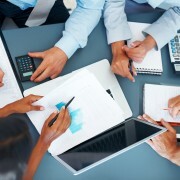 Does Your Business Really Need an ERP System?